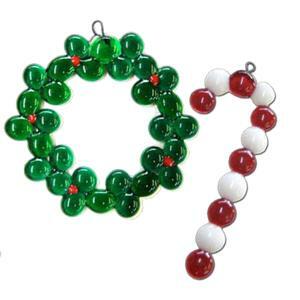 Fun and simple fused glass ornaments with 96 COE glass pebbles. Download the free step-by-step instructions courtesy of System 96. Follow the link below to download and print it directly from your computer screen.